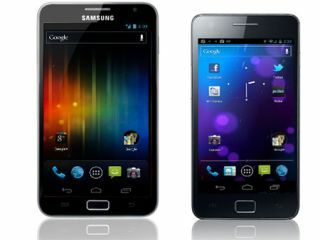 Samsung Galaxy S II and Note to get Android 4.0 in March | What Hi-Fi? Owners of the Samsung Galaxy S II and Galaxy Note smartphones will get an Android 4.0 (aka Ice Cream Sandwich) software update in March. According to our colleagues on Stuff.tv, the Norwegian arm of Samsung has confirmed that development of Ice Cream Sandwich is on schedule for release on more products at the end of this quarter. It will bring facial recognition unlocking, a better browser, multitasking and a new task manager to both mobile devices. Galaxy Tab owners will get the upgrade later this year. The Samsung Galaxy Nexus, which we've just recently tested, is the first Samsung smartphone to get the Android 4.0 operating system. • In a separate development, the latest rumours are that Apple may launch the new iPhone 5 on June 10th to coincide with its worldwide developer conference (WWDC).